Electronic Channels full value chain innovations, management, etc. With focus on Finnacial Industry. I need to admit that I adore Brett King’s fight for the Bank 2.0. I would summarize his book and blog posts into one sentence: big banks should lift their asses like just now and move fast or boys from outside (telcos, statups, etc.) will make them “dumb pipe” of finance with no direct engagement with more and more demanding customers. But wait, maybe strategy of waiting and doing nothing is not wrong. Firstly, it is true that big shot startups either went through “it’s not so easy” phase (like Square) or stuck in it (BankSimple). So maturing entrepreneurs will not promise quick changing of the world and will be looking for some help. Secondly, global payment players like Visa, MasterCard, Amex, etc are not fully blind. They are thinking on mobile payment strategy too. Moreover, one one hand they holding huge, very well invested global payment backbones, and on other – big bucks. What is happening is logical consequence – global payment schemas started to invest and mostly important to buy or partner with innovating startups. Amex introduced Serve platform to compete with PayPal, and partner with Foursquare and Facebook. Mastercard joined forced with Google to backup Google Wallet . Visa invested into already mentioned Square, joinded ISIS and aquired Fundamo. It’s early and there is still much more innovation were going to see in the next few years in the online and mobile payments space. Here let’s come back to Banks and Waiting strategy. 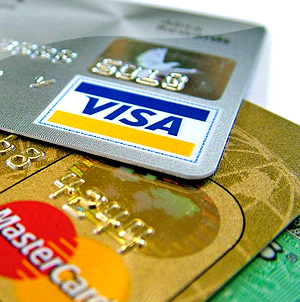 Visa, MasterCard and Amex are old partners of banks. Their life are so much intervened in issuing and acquiring business. Who does want to kill this working model? I guess at this moment no one. It could be so that by in-house innovations or by buying startups, Card schemas will introduce new products in Mobile Payments. And will start distributing through… partner banks. It seems that waiting will benefit banks by saving R&D money ant will let to concentrate on core business. And when products will mature and be ready for global roll out – here we go. You can ask – what if not? Could it be that Visa, MasterCard and Amex will loose interest in middle man and start direct, online distribution. Well, I do not know. But as Brett King says – winners will be those who will own the client.